Mirror polished stainless steel base and support with a variety of top options. 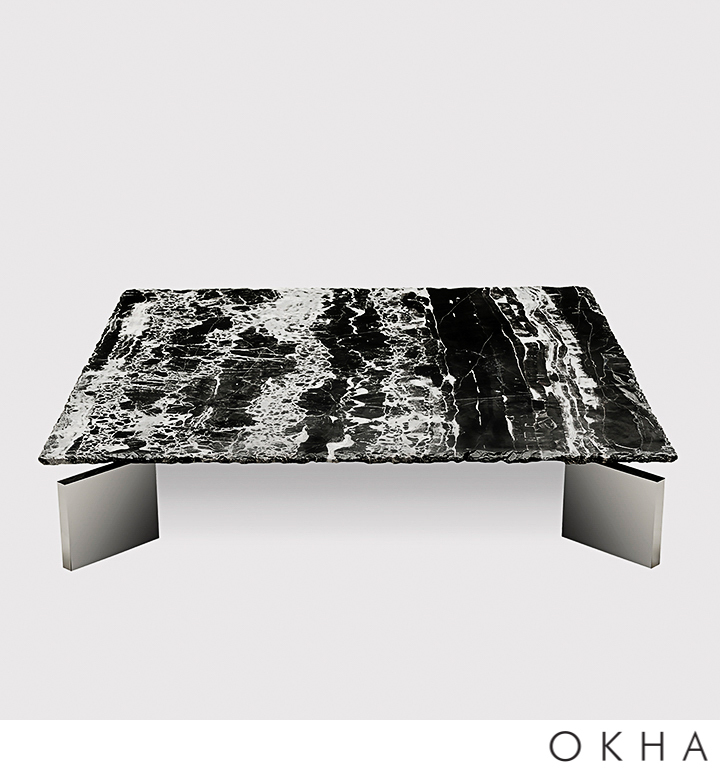 Table top Options: Available in Nero Marquina or Volakas marble. An additional choice of polished marble tops is available upon request.